We design and build healing and nurturing environments for residential and commercial spaces, infusing the science of energy harmonization into our design process. Illinois Designers & Builders INC.
A. W. Wendell & Sons, LLC offers high quality architectural design and building construction services, from custom homes and commercial buildings to residential additions and remodels. We listen carefully to our clients and provide cost-effective solutions that truly help them live and work better. Let us show you what four generations' worth of innovative design-build expertise can do for you. Homes by Pinnacle is a family owned company which was established in 1996. Our focus has been on the artistry of custom home design and quality craftsmanship. These two qualities have been the foundation from which we work. We understand that the beautiful homes we design and build are more than a building. They’re a dream which started as a thought, blossomed into a vision and finally hand crafted into a home. It’s a process we take great pride in, one that allows us to design and craft beautiful home which reflect the individuality of our clients. Our team is comprised of the most innovative and professional staff in the business. With over 70 years of combined experience in luxury residential development, construction, and design our staff has the expertise to handle the most challenging projects. Welcome to the Modus Home + Garden website. 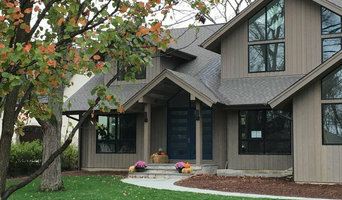 We are a unique Home Builder / Design + Build company specializing in creating custom indoor + outdoor spaces in the Chicagoland area. Modus H + G is a collaboration of traditional construction methods, while using innovative design concepts to capture the modern lifestyle. We approach each project looking to maximize the potential of every space, while seeking to create a seemless transition between the indoor + outdoor living experience. We hope we can Inspire your Passion for Design + Help assist you in Sculpting your Project. 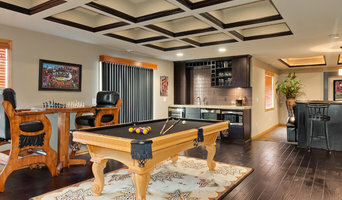 Illinois Designers & Builders is a Chicagoland based Remodeling, Design and Construction Company offering a full range of interior and exterior services. We have years of experience in New Houses, Room Additions, Kitchen Remodeling, Bathroom Remodeling, Property Maintenance, Basement Remodeling, Installation and so much more. Our customers get professional service and we do not consider the project finished until they are completely satisfied. Our customer satisfaction is rated one of the highest in Greater Chicagoland. Take a minute to talk to a few of our customers and you will see why they keep choosing us for all their remodeling needs. Chicago Area Premier Kitchen & Bath Remodeler-Best of Houzz 2013-2016! 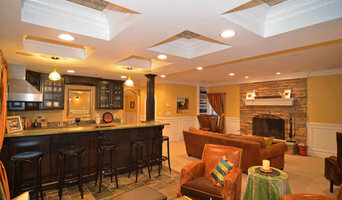 Chicago's SW Suburbs Design-Build Firm Best of Houzz Winner! We get it. You are not just buying a house – you are buying a home to create memories for a lifetime. Backed by our years of experience and commitment to building quality products, a Townes Glaser home ensures you are moving into a high quality home built with precise craftsmanship and the best materials. We live where we build and our neighborhoods are our number one priority. Community is everything. We know the residents, the schools, the streets, the local businesses - the feeling of a neighborhood. And, we want to preserve it. Because we live in the City and in our Townes Glaser homes, we understand how Chicagoans live, both inside and outside their homes. Our construction is thoughtful and so is our consideration of neighborhood construction as it is a delicate process. We are good neighbors during the entire building process and make ourselves available to concerns and questions to any neighbors from start to finish. Town & Country has designed and built over 1000 projects in the last 25 years using the philosophy that the conservatory should look as though it were always part of the original home, not an add-on. Your source for fine conservatories, skylights, pool houses, and orangeries. Revelation is a design and development firm focusing on creating unique, one-of-a-kind homes for our clients. You'll find as you explore our site an inspiring world of high quality finishes, superior attention to detail, timeless elegance, awe inspiring design and unsurpassed creativity. Our passion and insight is to create and build your dreams. In doing so, our designs speak to our superb taste and a free spirited individuality. In everything we do, our philosophy is simple: We want to surround ourselves with what we love. We want to inspire creativity as well as thought. This is more than our vision for your home; it's a way of life we highly recommend. We strive to make all of our homes simply breathtaking – timeless works of art! Emory Construction is a dedicated construction company specializing in luxury and custom home construction. Emory Construction offers clients preconstruction consulting, general contracting, construction management, and design-build services. Our projects range from small home additions and remodeling to new custom single-family homes and lot-and-home packages. Emory Constructions enduring track record, industry experience, contractor relationships, and strong client base has lead to our countless referrals, our repeat business, our success, and many new opportunities. With over 32+ years of experience in the industry, Builder's Construction Company, Inc is a full service design build firm specializing in everything from new construction to whole home renovations and remodels. 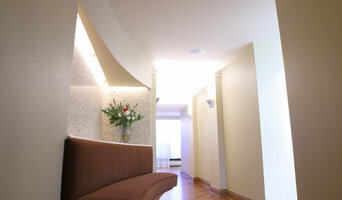 Our team includes two fully licensed Architects and an Interior Designer. We are known for our attention to detail, high quality work and professionalism. We bring architecture, design, and construction all together for a truly seamless process.